Ever wonder why we have a concept of past and future? Or why sometimes we feel unwell? All too often we rely on “science” and “perception” to answer these questions for us, when really we should be turning to a more holistic, vaguely defined method of interrogation and experimentation. Join us as we read the findings of one Judith C McMath, listen as we examine her theories, challenge her assertions, and ultimately award her a doctorate. It’s no big deal though, she just parroted the text until we gave it to her. She knows the truth and she’s going to share it with us, while also giving us some relationship and parenting advice. Break out the colloidal silver and your Gaea Theory textbook (for homeschoolers!) as we get our minds blown and our outlooks altered. 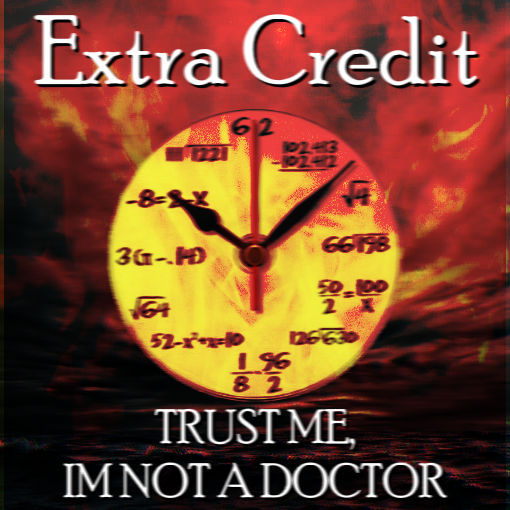 This week, Extra Credit renounces their life’s work in order to affirm New Age Nihilism. Homeopathic colloidal silver is actually a powerful fertiliser for microbes, you have to basically just eat silver dust to make sure that doesn’t happen.